In the Loop | PX This. You’re sagacious, contemplative and yet humorous, right? Of course you are; that’s why you appreciate PX This so much, right?! Well, my latest Netflix recommendation will have you rolling in the aisles on your living room carpet. What better way to celebrate tolerate the farcical proficiency of our federal goverment than to roll on the floor streaming tears of frustration laughter? 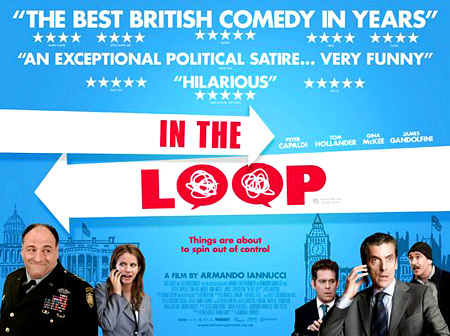 Watch In the Loop. You’ll be aghast glad you did.